Thirty Seven (37), bold, beautiful, eloquent and purpose-driven Nigerian ladies have been selected as finalists for this year's Miss Tourism Nigeria [World] pageant. Following a nationwide sms voting lasting for fifteen (15) days, the top 53 was later whittled down to thirty seven(37), who have thus qualified as finalists of the 2014 edition. 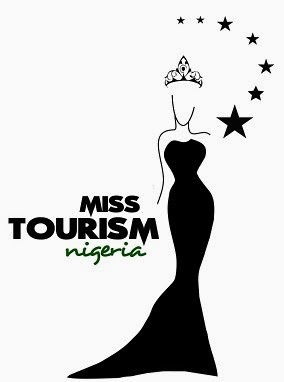 Among other things, the finalists will take part in grooming and mentoring sessions, coaching, skills training and development as well as engage in special, themed Miss Tourism Nigeria [World] 2014 events, which include the Fashion Show, Beauty with a Purpose tasks and Talent Competition. The thirty seven lucky ladies will resume camp in Lagos with an UNVEILING/FASHION PARTY sponsored by CITILODGE HOTEL, one of the event sponsors. ‘It will be a grand reception for the contestants and major partners; to be followed by an open party where the public is invited to freely come, meet and mingle with their favoutite contestants’ says the Creative Director, Mr. Santiago Roberts. The national finals will be held in 17th May at the Prestigious RUBY GARDENS EVENTS CENTER, By Oando Mega Station, Chisco Roundabout, Lekki, Lagos. Tickets can be purchased at: All Tastee Fried Chicken Outlets in Lagos, Philadelphia Stores (Opebi-Link Road, Ikeja), Citilodge Hotel (Elf Bus Stop), and Ruby Gardens. Miss Tourism Nigeria 2014 is powered by Qhue Concepts.